Book Fair - The Winterhaven Book Fair is next week! It's our annual book fair where 12% of the proceeds go to the Winterhaven Library. What's in it for you? Pick up some cool new books, stock up for Winter reading, and check off your holiday gift list. Find us in the Winterhaven library Monday through Friday (12/4-12/8) from 8:30-3:30 (open 'till 7:30 on Wednesday 12/6). As a special addition to the book fair, former Winterhaven parent and acclaimed children's book author, Michelle McCann, will be signing copies of her newest book "More Girls Who Rocked the World" Wednesday, December 6 from 3:00 to 4:00 p.m. She will be joined by two former Winterhaven students whom contributed to the book which shares inspiration from young women who made their mark before turning twenty. 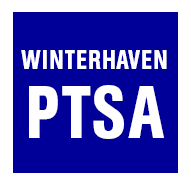 Food Drive - The Winterhaven Community Service Committee is holding a food drive for the Portland Food Project. Can you help by bringing non-perishable food items to school? Green collection bags will be in the front hall November 20th through December 8th. Some ideas of items to bring are: canned meat, nut butters, cereal, soups, canned fruit, dried fruits, Ensure protein drinks, dried beans, and toothpaste. Most needed items are on the PFP website.